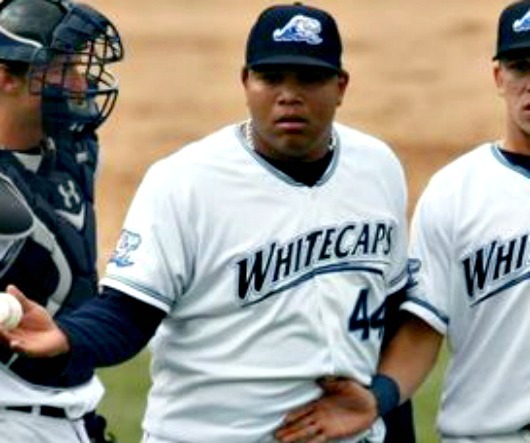 Whitecaps alum Bruce Rondon will be competing for the Tigers closer role this spring. The Detroit Tigers need a closer. GM Dave Dombrowski stated in a news conference that the won’t be pursuing former closer Jose Valverde, for very apparent reasons. In the same breath he also mentioned West Michigan Whitecaps alumni Bruce Rondon for a candidate for the role. After all, free-agent closers are in short supply this off-season, and in this Borus-esque world, the most routine pitchers will be wearing high-end price tags. So, it would make sence for the Tigers to look into their farm system, and why not look at a kid who can hit 103 on the radar gun. The 21-year-old from Venezuela takes care of opposing batters with quick innings, and the GM in Detroit is taking notice. What DD means in the ‘makeup of a closer’, is that Rondon simply overpowers hitters. A closer needs to intimidate the opposition and deny them any chance of a rally. Throwing fastballs at 100 mph usually does that, but he also has an effective slider, and can thow in the change-up. He’s impressed his pitching coach at Double-A Erie, too, former ‘Caps coach Ray Burris. He spent the 2011 season with the Whitecaps, where he walked 34 batters in 40 innings of 41 games. He did, however, have 61 strikeouts and only 22 hits against him. In 2012, he played High-A, Double-A, and Triple-A ball. At Lakeland, he gave up only 12 hits and struck out 34, and only walked nine in 23+ innings. At Erie in 21+ innings, he also had nine walks, with 23 strikeouts and gave up five hits. He did struggle a bit in Toledo, though. He gave up six walks and five hits, while striking out nine. The Tigers drafted him in 2007 when he was only 16 years-old. Rondon is currently pitching for Navegantes del Magallanes in the Venezuelen Winter League pitching in three games, six innings, while striking out five and walking five. The opposition is only hitting .158 against him. Hopefully this success will carry over to spring training, and a spot on the Tigers roster. Wow. From what I you write (via sources) about Rondon, it’ll be fun to see him in action next year. He sounds like a truly special pitcher. Mateo-when you’re hitting triple digits, you’ll get a shot. Just hoping his control is there.